Today’s FO Friday is brought to by Ladybug and Knittink. After a bit of practice with some white wool — about 40 yards worth — I took the plunge with my fancy fiber-fest roving and my brand-new spinning wheel. 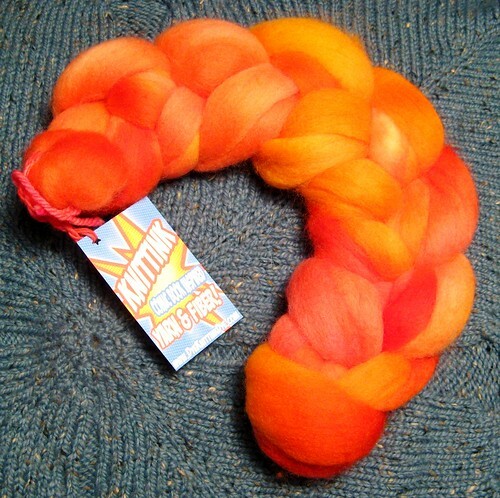 I decided to go for a 2-ply worsted finished yarn. I spun on the faster groove of the “fast” whorl (not the high-speed extra one I bought for lace), and plied on the slower groove of the “fast” whorl. 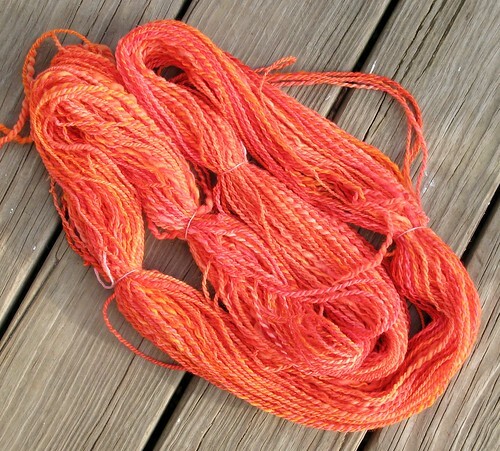 I divided the roving in half lengthwise, so I would have about the same amount on each of the two bobbins, and got to work. About four hours later, I had this! Plying especially was SO much easier on the wheel, compared to the spindle. 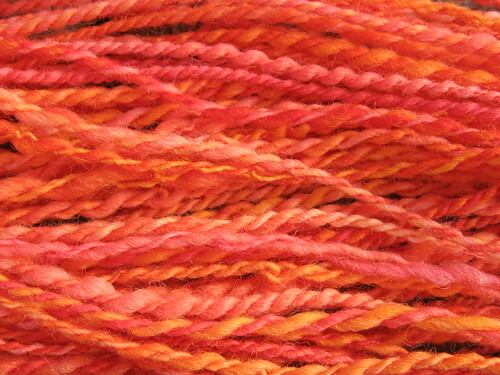 My orange-loving youngest son already laid claim to this yarn, because I owe him a pair of fingered fingerless mitts.